I support individuals and couples to face up to emotions, make sense of events, handle trauma, explore who they are, make important changes, repair and rebuild, and enjoy better mental health. People come to psychotherapy for individual reasons, often at a particularly challenging or reflective time at work, at home or in life. For many people psychotherapy is a way to get help to understand, manage or change repeating or intense emotions or patterns of thinking or behaving. Others come to discover more about who they really are and make sense of their life and experiences. It is a privilege for me to get to know someone confidentially. In short, I assist people to resolve the underlying cause of the problem they are currently experiencing. I work within an experiential constructivist model of personality. Life experience is unique and a product of current habits and patterns of behaviour, personal and family history, life events and the meaning taken from particular incidents in the past. Our learnt and experienced “model of the world” shapes the life we now have. Updating our “model of the world” gives a new experience of being alive in our work, interests and relationships. Often the meaning making process from events throughout life has been automatic and unconscious. The aim of therapy is to reveal what has been hidden and discover, accept and choose new thoughts, feelings and responses. I help people to look back with wisdom so they can better understand the influence of past thoughts and emotions. Freedom and choice follows an increase in self-esteem and self-awareness. New strategies bring new options. By focusing on individual strengths we find solutions and build patterns that provide a better and more enjoyable set of feelings, thoughts and behaviours. I listen, am compassionate and use tools chosen to meet the wants and needs of each client. My talents lie in applying Neuro-Linguistic Psychotherapy, Hypnotherapy and Positive Psychotherapy. I have a strong interest in how identity can serve as an invisible guide that shapes our emotions, character strengths, motivation and mental toughness. Virginia Satir said "People often have good intentions, but poor communication" We will look at what and how you communicate with yourself and others, and the conscious intentions and deeper motives that lie behind your thoughts, feelings and behaviours. I will help you work with your unconscious (sub-conscious) mind to take action and make changes you want to make. Milton Erickson described it this way: "The thing to do is to get your patient, any way you wish, to do something. . . . It is the patient who does the therapy. The therapist only furnishes the climate, the weather. That's all. The patient has to do all the work." I help people to know themselves, their strengths and their wishes more fully so that they have access to all they need to be happy and successful in their life. A range of CPD training including: Working with Couples; Adverse Childhood Experiences; Hypnotherapy; Signs of Safety. Focussing on your strengths, and building positive emotions, positive relationships, engagement, meaning and accomplishment. Modelling and changing your unhelpful patterns of thoughts, feelings and actions. Couples counselling - Usually blocks of 4 sessions booked in advance, meeting weekly or bi-weekly. £75 per hour. 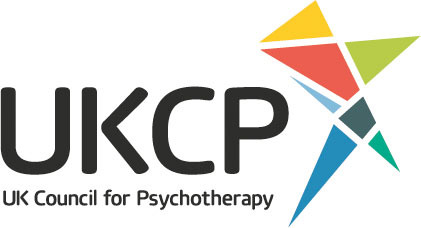 Individual and group supervision - For counsellors, psychotherapists and practitioners. Find out more here. Please get in touch if you would like to book in to see me or discuss how I may be able to help. What: Clarity on what the real (underlying) problem is, what you truly want to be different, and a plan withoptions or resources to help you change.